This cordless combination package includes the M300 base station and one M25 handset, forming a powerful and expansive mobile telephony solution. 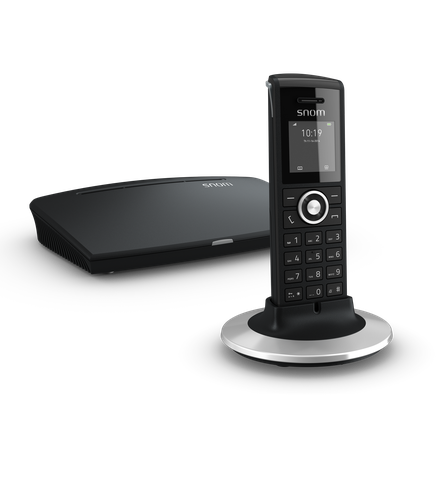 This package can be extended with up to 20 additional Snom handsets from the single M300 base station, and is ideal for creating mobile telephony in a small office environment. With a range of up to 300 meters outdoors and approximately 50 meters indoors, the base station provides broad coverage, which can be extended by adding up to three M5 repeaters.